Last week, we reported that the standalone release of Call of Duty Modern Warfare Remastered, originally released as part of select Call of Duty Infinite Warfare bundles, would be released before the end of the month. It seems like the rumors were right, after all, as Activision finally confirmed when the game will release on PC and consoles. Call of Duty Modern Warfare Remastered standalone will release, as rumored, tomorrow, June 27th, on PC, PlayStation 4 and Xbox One. The game will cost $40 in the US. 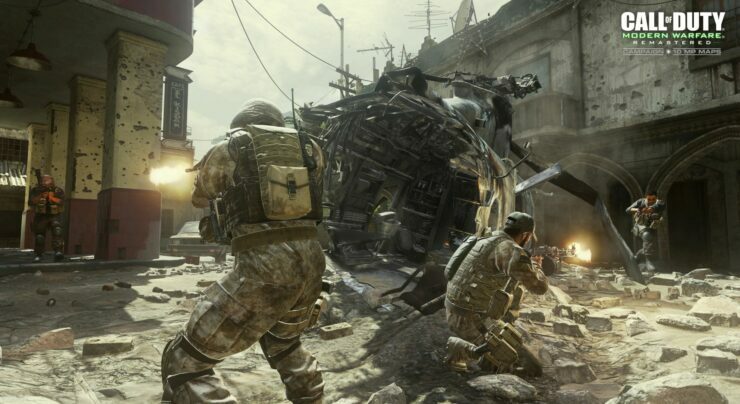 The standalone release of the remastered version of one of the most popular entries in the Call of Duty series will not include the Variety Map Pack released a while back. The pack includes four remastered multiplayer maps from the original game as well as 10 Rare Supply Drops. The Variety Map Pack for Call of Duty: Modern Warfare Remastered includes four remastered multiplayer maps from the original game, plus 10 Rare Supply Drops. Re-experience some of the most epic maps in Modern Warfare history, including Creek, a wide-open village ravaged by combat where concealment is the difference between life and death; Broadcast, an enemy communications building with confined corridors and wide-open parking lots; Chinatown, a foggy downtown district, lit by a full moon and the neon glow of the city; and Killhouse, a tiny warehouse for maximum close-quarters chaos. In his review of the game, Dave noted how Call of Duty Modern Warfare Remastered holds up quite well, thanks to both the single and multiplayer experiences. Ultimately, Call of Duty Modern Warfare Remastered might be the best remaster I’ve ever played. Everything is updated and beautiful, without losing a single thing long-time fans loved about the original. If you’ve ever wanted to see where the online multiplayer craze started, this is it – and it holds up amazingly well.